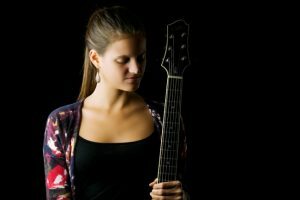 Jacinta Clusellas is a guitarist, composer, and arranger from Buenos Aires, Argentina, currently based in NYC. Her debut album El Pájaro Azul was released at the Consulate of Argentina in NYC and is being distributed in Japan under the record label Inpartmaint Inc. She is currently composing and arranging the music for “Azul Otra Vez” a Spanish language folkloric musical based on Ruben Darío’s works (BRIClab, NYTW, The Drama League & The Habitat) and writing the arrangements and orchestrations for I Am, a new play with music. Jacinta has participated in projects as an arranger for Grammy award-winning artists such as A.R. Rahman and Alejandro Sanz, she was the resident composer for NORA (Jerome Foundation, Lanesboro Arts, MN) and the Assistant Music Director for The Boy Who Danced On Air (Abingdon Theatre Company). Jacinta holds a B.A. in Contemporary Writing and Production at Berklee College of Music; she is a Teaching Artist at the New York Philharmonic and a participating member at the Carnegie Hall Music Educators Workshop. 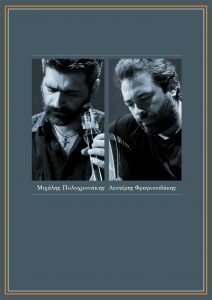 Christos Rafalides (Greek: Χρήστος Ραφαηλίδης; born April 9, 1972) is a Greek jazz vibraphonist, composer, and educator. 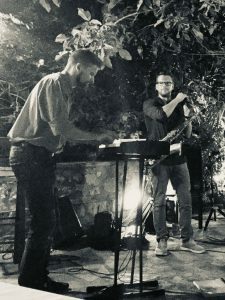 Since moving to New York City, Rafalides has performed with Ronnie Cuber, Randy Brecker, Victor Lewis, Chaka Khan, Joe Locke, Antonio Sánchez, Steve Hass, Donny McCaslin, Scott Colley, Ravi Coltrane, Christian McBride, Wynton Marsalis, Mike Stern, and Ron Afif among many others. Rafalides has toured extensively throughout the world both as a leader and guest soloist. Some highlights include performances with the Lincoln Center Jazz Orchestra and Wynton Marsalis, a tour with the Charles Mingus “Epitaph” Band featuring bassist Christian McBride and conductor Gunther Schuller, performances at the Kozani Jazz Festival, a recording with the Harmony Ensemble of NY of Henry Mancini’s “Peter Gunn” featuring Lew Soloff, a tour through India and China with Dario Boente, a guest faculty member at the Zeltsman Marimba Festival, and an Artist Residency at the “Music Village” in Greece. 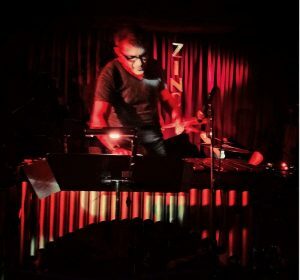 Christos has led groups at many of New York City’s top venues including the Blue Note, the 55 Bar, the Jazz Standard, and Dizzy’s Club Coca-Cola. Η Μαρία Λούκα και ο Γιώργος Ζαχαριουδάκης έρχονται από το Ηράκλειο, με τις βαλίτσες φορτωμένες μουσικές και ηχοχρώματα της Κρήτης, αλλά και όλης της Ελλάδας. Μαζί τους ο Κωστής Κυριτσάκης στη λύρα, το λαούτο και το μαντολίνο που, μαζί με το πιάνο, τις τσαμπούνες και τα θιαμπόλια του Γιώργη και με τα διάφορα κρουστά της Μαρίας, σμίγουν την παράδοση με τα σύγχρονα ακούσματα και προσφέρουν μια ποικιλία ηχοχρωμάτων και συνδυασμών οργάνων που προκαλεί το ενδιαφέρον του ακροατή καθ’ όλη τη διάρκεια της συναυλίας. Kαταξιωμενος καλλιτεχνης στο χωρο της κρητικης παραδοσιακης μουσικης θεωρειτε ενας απο τους καλυτερους συνεχιστες της κρητικης μας κληρονομιας αψογος δεξιοτεχνης βιολιστας της νεας γενιας. 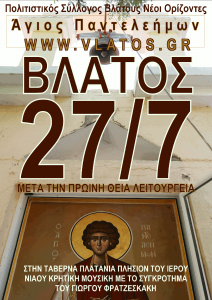 Celebration of Agios Panteleimon in Ta Platania under a 1700 year old platan tree. Music, food and dance garanteed! 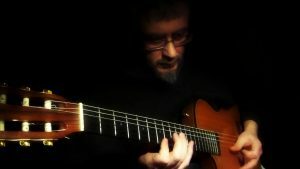 O Yiannis Loukatos studied Jazz guitar and theory at the Franz List Academy in Budapest next to notable musicians such as Bela Lakatos and Laszlo Attila. 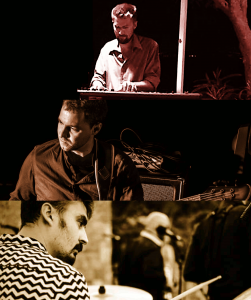 After his studies, he came back to Athens and since then appears with his quartet in different clubs in the city. 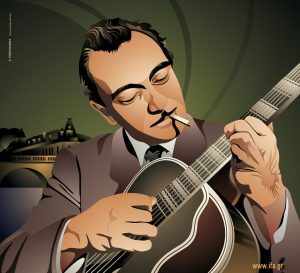 In 2005, he created “ the Hot Club De Grece”, a group that walks in the footsteps of Hot Club De France, playing the music of Django Reinhardt with great success. 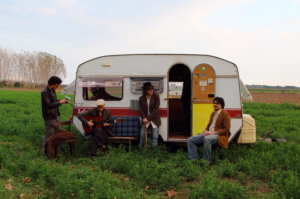 He took part in the first & second edition of DjangoFest in Athens in 2010 & 2011 as one of the most representative quintets of Gipsy jazz. 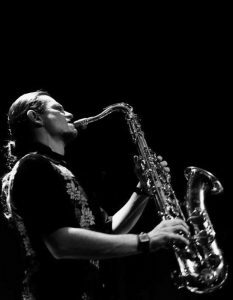 He has worked with most of the Greek jazz musicians and has gained valuable teaching experience. Begins his music studies at Alqueria de la Comtessa Musical Association in the Valencia province (Spain), focusing in symphonic percussion. Later on, he finishes his mid-level studies at the Josep Climent Conservatory of the Oliva municipality. During this period he plays as a percussionist in several bands, and also as a teacher of symphonic percussion in different music schools. In 2004 he moves to Barcelona in order to study Cuban percussion with renowned musician Miguel “Angá” Díaz, and enters subsequently at the Superior Conservatory of Liceo in the pursuit of a bachelors degree in modern percussion, where he earns his degree in 2009 alternating a year in Cuba at the Instituto Superior de Artes de la Habana in the course of 2007-2008. In Cuba, he complemented his studies with professors Yaroldy Abreu Robles and Dreiser Durruthy Bombalé. In the later years, his interest in flamenco music has made him study with César Morena Arrébola. 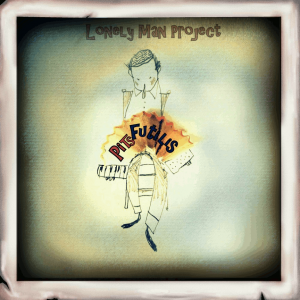 With such a renowned artist, he has played locally and abroad also have the opportunity to record. His work as a composer can be heard in recent recordings such as Peyoti for President’s last EP and the last work of Tazzuff, among others. 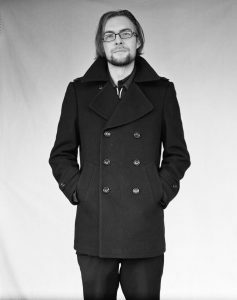 Recently he decided to create his own independent record label Sowing Sounds. Γεννήθηκε στη Φλώρινα.Το 1976 μετακομίζουν στα Χανιά και τέσσερα χρόνια αργότερα ξεκινάει μαθήματα λύρας με τον αείμνηστο Εμ.Τζινευράκη και λίγο αργότερα με το Ρός Ντέϊλη, παράλληλα παρακολουθεί και μαθήματα κλασικής κιθάρας. 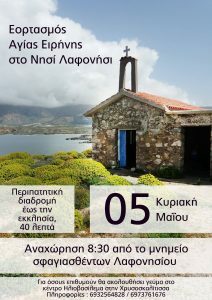 Αργότερα ξεκινάει να μαθαίνει λαούτο και το 1993 κάνει τη πρώτη του εμφάνιση στο κινηματοθέατρο Παλλάς στο 20 Φεστιβάλ Κρητικής Μουσικής & Τραγουδιού με δύο τραγούδια τα οποία απέσπασαν έπαινο Σύνθεσης και Ερμηνείας ενώ συμμετείχε και στο τραγούδι που απέσπασε το πρώτο βραβείο με το Δημ.Βακάκη. Το 1995 ξεκινάει ένα κύκλο συνεντεύξεων και εγγραφών από παλιούς παραδοσιακούς μουσικούς της Κρήτης. Αν και αυτοδίδακτος στο λαγούτο ο ίδιος θεωρεί ότι όλες αυτές οι επαφές με τους παραδοσιακούς μουσικούς λειτούργησε σαν σχολείο γι’ αυτόν. Λίγο αργότερα παρακολουθεί μαθήματα Βυζαντινής Μουσικής στο Λαϊκό Μουσικό Σχολείο του Αριστείδη Μόσχου και παράλληλα παίζει λαγούτο στην ορχήστρα του Αριστείδη Μόσχου. Άλλες συνεργασίες του εκτός Κρήτης ήταν με το Γ.Χατζηνάσιο στη μουσική της τηλεοπτικής σειράς “Σύνορα Αγάπης” με τον Πέτρο Γαϊτάνο και το Μ. Πυροβολάκη. Οι συνεργασίες του με τους παραδοσιακούς μουσικούς της Κρήτης αρκετές όπως και οι συμμετοχές του στη δισκογραφία. He was born in Florina. In 1976 he moved to Chania and four years later he started his lyrical lessons with the late Em.Tinnerakis and later on with Ross Dail, while attending classical guitar lessons. 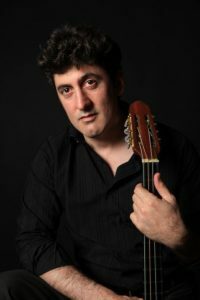 Later he began to learn lute and in 1993 he made his first appearance at the Pallas cinema at the 20 Cretan Music & Songs Festival with two songs which received a Composition and Interpretation praise and participated in the song that won the first prize with Dimak Vakakis. 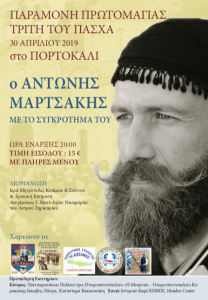 In 1995, he started a series of interviews and recordings by old traditional musicians in Crete. Although self-taught in the hare, he considers that all these contacts with traditional musicians worked as a school for him. 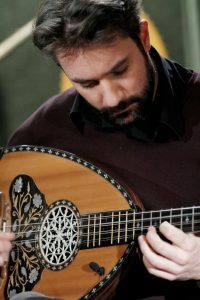 A little later he attends Byzantine Music lessons at the Aristides Moschos Folk Music School and at the same time plays a lute in the orchestra of Aristides Moschos. 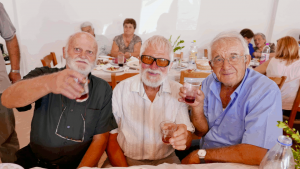 Other collaborations outside Crete were with G. Hatzinasio in the music of the television series “Border of Love” with Petros Gaitanos and M. Pyrobolakis. 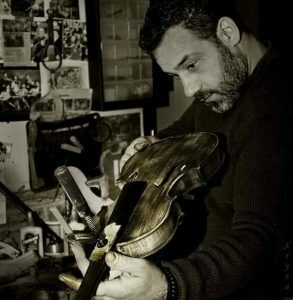 His collaborations with the traditional musicians of Crete, as well as his participation in the discography.